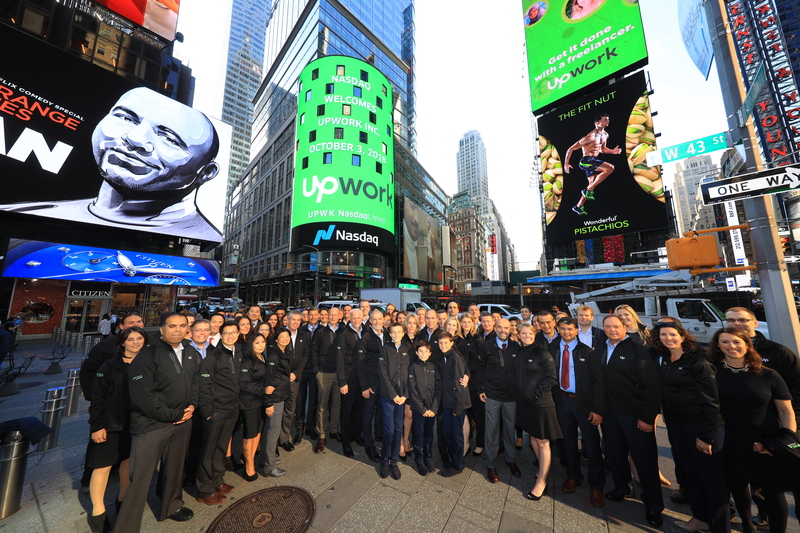 Upwork, the rebranded merger of oDesk and Elance, debuted on Nasdaq this morning, after dropping its S-1 about four weeks ago. Shares opened at $23.00, which represents a 53% jump — shares were priced at $15 before the opening bell by investors, a significant uptick from the company’s revised projection of $12 to $14, which was already an increase from its original $10 to $12 target. The stock trades under the ticker UPWK, and the company will fundraise approximately $102 million of new cash for its balance sheet ($187 million total with existing shareholders). Shares are still currently up 40% compared to their original price. 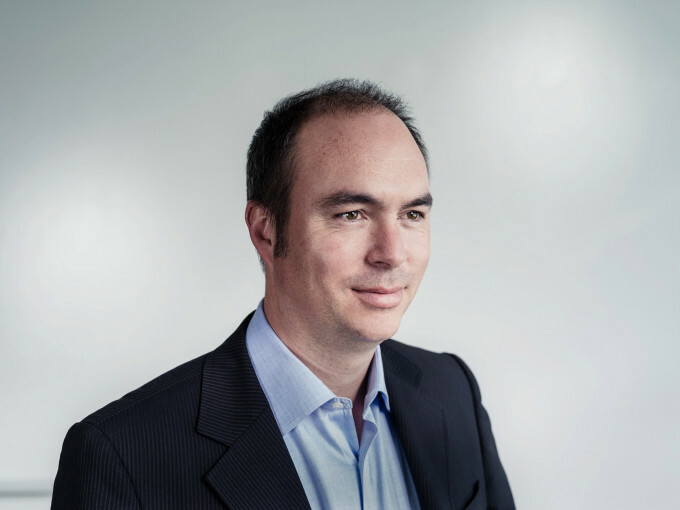 I talked with Upwork CEO Stephane Kasriel this morning about the IPO road show, in which he said he took approximately 160 meetings with investors. Investors were engaged on the “combination of the strengths of the business and the strengths of the mission,“ and he was clearly excited about the engagement the offering received. Upwork, whose antecedent companies go back almost two decades, is a positive cash flow business, albeit one growing top line revenue only about 27.6% year over year. Kasriel said that the company should be able to “compound at that rate for decades” due to the growing number of workers who freelance around the world in order to have flexible work arrangements. “When you think about which jobs are being created in the global economy, in most countries it is these knowledge jobs,” he said. In addition, “When you really take a long term view, what really matters is to be good stewards of capital,” Kasriel noted, and said that the company was very focused on areas like sales and marketing ROI. His goal is to continue to grow the company with limited dilution to shareholders, a message that apparently has been well-received. As for Kasriel himself, he becomes a public company CEO. He was elevated to the CEO role in 2015 from SVP of Engineering – a somewhat unusual path, even in tech-obsessed Silicon Valley. He emphasized that “we are a tech company,” and noted that every day is a learning experience. “I was just on CNBC, and for introverts, what really scares me is to be on live broadcast TV,” he said. A huge part of Upwork’s business today is focused on the enterprise, particularly complex workflows that require multiple types of talent. The company’s platform not only handles talent management, but the long array of tasks to manage people: HR, legal, procurement, information security, and others. According to the company, it will host $1.5 billion worth of gross sales value across two million unique projects. The company estimates that its products are used by 30% of the Fortune 500. Among the major VC investors behind the company are Benchmark, which owned 15%, Sigma Partners, which owned 14.2%, and Globespan, T. Rowe Price, and FirstMark. The company is offering 6,818,181 new shares as well as 5,658,512 shares from existing shareholders. Citigroup, Jefferies, and RBC jointly led the book.